This coming November 14-17, the HERO Racing team (HELPING EVERYONE REACH OUT) is entered into the most grueling off-road race in the world, The SCORE International Baja 1000. 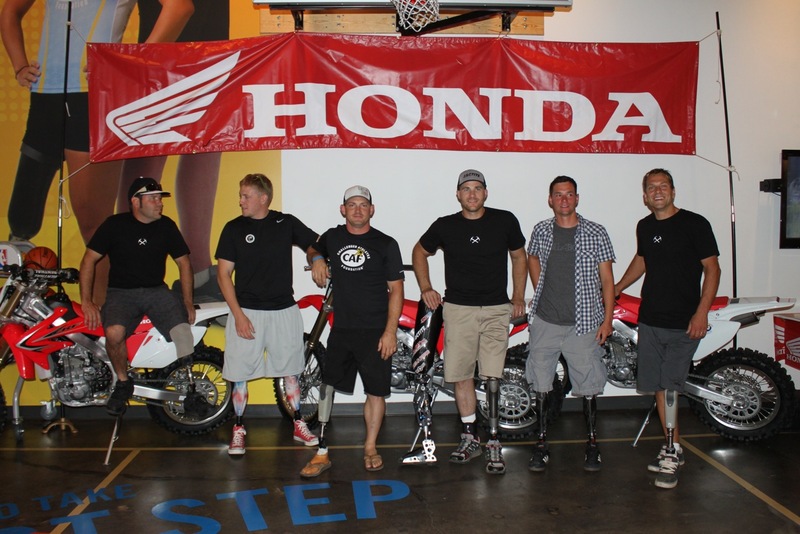 What makes the HERO Racing team different than any other is that one of our 3 race bikes is the first all-amputee team in the race’s history. We we are racing as a 100% non-profit fundraiser to bring a fortunate recipient a prosthetic leg with the Challenged Athletes Foundation. They helped us find this amazing individual who is a very athletic 10 year old boy from Michigan. Our little friend, Nicholas Knotts, is in need of a prosthetic leg to participate in a full and active lifestyle. Like the rest of us, he’s 100% human. Just missing a part. With that said, over the past 10 months the HERO Racing team has worked tirelessly. 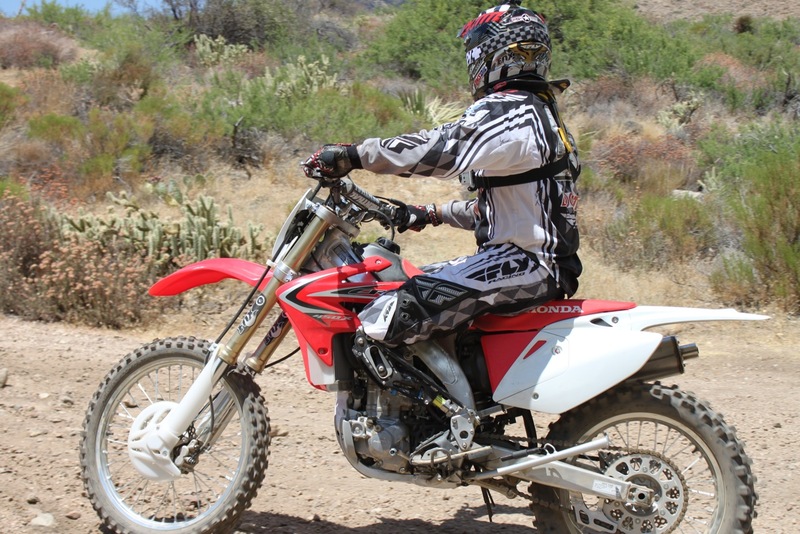 We’ve been wheeling and dealing to get parts, 3 brand new 2012 Honda CRF450x race bikes with Johnny Campbell pit support, FOX Shox suspension and FMF exhaust system. We also have satellite phones, high-powered lights for dangerous night riding, GPS and a over 20 dedicated volunteers driving their trucks and chasing the bikes for safety and assistance. So far, over $80,000 in equipment and services have been donated by 40 companies, including a $30,000 prosthetic leg donated by Wright / Filippis and Ossur. The Julian Hard Cider HERO Racing team (Helping Everyone Reach Out) creates awareness and ignites the philanthropic spirit within the motorsports community to help create athletic opportunities for individuals with physical disabilities. Through HERO Racing’s participation in motorsport / mechanized events, physically challenged and able-bodied participants will participate side by side, raise funds and enjoy the exhilaration of competitive motorsports. These efforts will go toward helping others experience the thrill and reward of participation in sports by raising funds for the Challenged Athletes Foundation. The Julian Hard Cider employees, families and friends are the backbone and engine of HERO Racing. These amazing individuals donate countless hours of time (and many times their own personal money) to support our racers, drivers and athletes throughout their journey, help them accomplish their goals and overcome challenges where others would quit or never even try. With their boundless energy, enthusiasm and dedication, our volunteers handle a wide range of duties including transporting participants, writing sponsor proposals, turning wrenches, updating the website, sending emails, packing lunches and much more. With that said, Julian Hard Cider HERO Racing has no administrative costs or salaries with 100% of proceeds going to helping our riders, drivers and athletes! Funds donated through Hero Racing will be used to help CAF underwrite running legs, handcycles, sports chairs, competition support, and mobility clinics around the world to get more physically challenged people back in the game of life. CAF believes that physical fitness and participation in sports can help rebuild confidence and lost self-esteem, increase both physical and mental health, and lead to a more fulfilling and productive life. Whether someone has suffered a catastrophic illness, survived an accident or become permanently injured in service to our country we know that sports can help heal. Join the HERO Racing team by making a pledge to help others experience the power of sport.